The LEARNING CLUB® of Toledo is a non-profit organization that provides free after-school programming for students in targeted areas of Toledo. For the past 25 years The LEARNING CLUB® has been providing successful, outcome based after-school programming in inner city Toledo. Thousands of children and teens have seen their math and reading skills improve as well as behavior. All LEARNING CLUB® programs meet twice a week; either Mondays/Wednesdays or Tuesdays/Thursdays throughout the school year. The program maintains a 1:3 staff to student ratio and employs state licensed teachers, paraprofessionals or university students. At the end of each session students may purchase prizes with points earned through academic achievement. Both schools and parents have reported that LEARNING CLUB® participation helped improve their students math and reading grades as well as motivation to learn. Participation is free and parents who would like to have their students participate may contact. Educators in Context & Community (ECCO) is a comprehensive career-based professional development learning community for education majors and others who work with children. They focus on acclimating educators to the diverse cultures and communities (urban, rural, and suburban) which their students bring with them into the classroom. They focus on preparing their members both socially and emotionally for the rigors of teaching. They focus on cultural competence, being aware of and able to work in diverse settings with diverse students. They focus on an educator knowing thyself, knowing thy students, knowing thy community, and knowing thy profession. 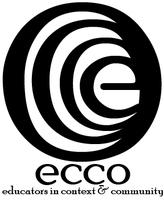 ECCO is dedicated to helping its participants to become partners in these environments, making changes in their own lives to become dedicated, engaged members of the community, living, working, and staying long enough to make a difference in the circumstances and lives of kids and families in the schools they have partnered with. Discovery Academy is proud to be partnering with the ECCO program, and we look forward to hosting many of their students in our building each semester. For more information on ECCO, please visit their website, or download their brochure below. Since inception, the National Youth Advocate Program has been reflective of the character and vision of Dr. Mubarak Awad, founder of NYAP and former president, which has been shaped and crafted in response to his personal experiences. NYAP is an energetic instrument of compassion and change in the lives of children, youth, and families and the systems, structures and practices that affect them. College & Career Ready, Set, Go! Designed to foster the knowledge, attitudes, and habits that steer 5th through 8th graders toward higher education and fulfilling careers, College & Career… Ready, Set, Go! (formerly known as College & Career Coach) connects students with Classroom Career Coaches and parent/caregiver coaches.